RV Tire Safety: 5 year warranty on tires !! We might be finally making progress. An RV mfg and tire company have stepped up to address the issue of quality and reliability on RV trailer tires. 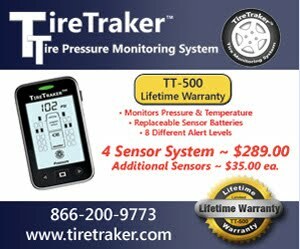 PrimeTime and Tredit now offer 5 year warranty. Maybe you might consider printing out the Press Release and asking your tire company to match the coverage. New Toyo M144's a week ago. They have a limited 5 year warraty.